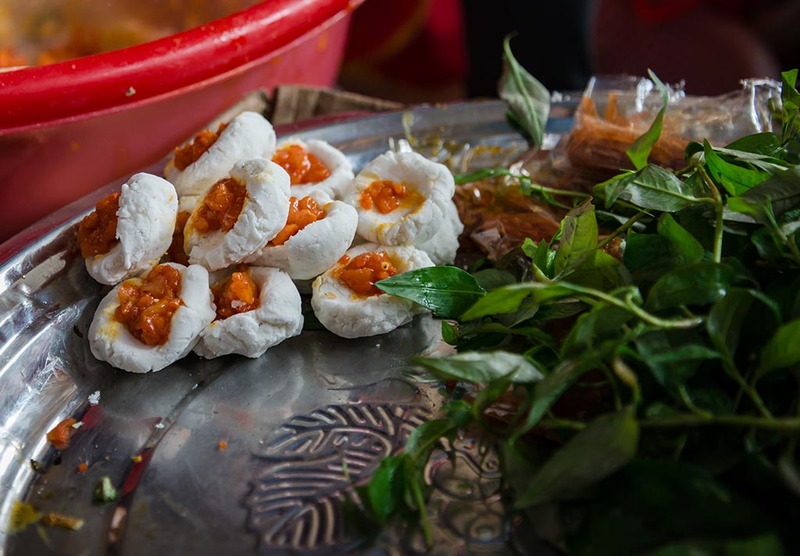 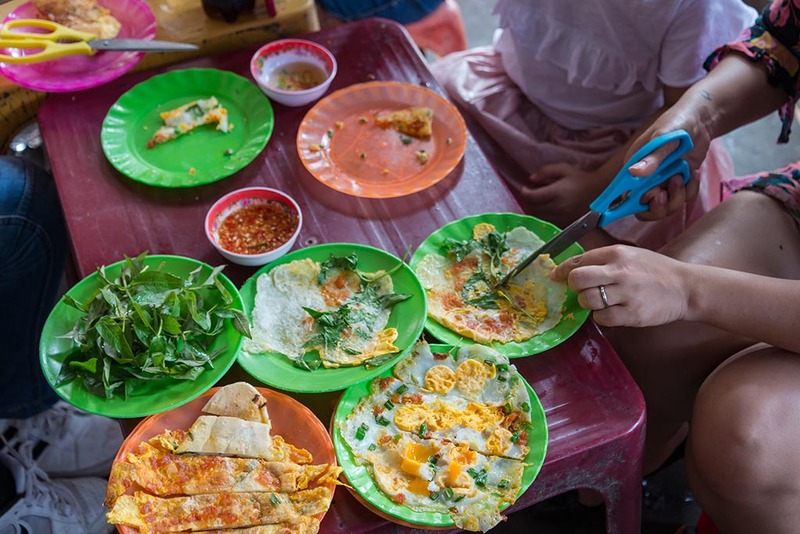 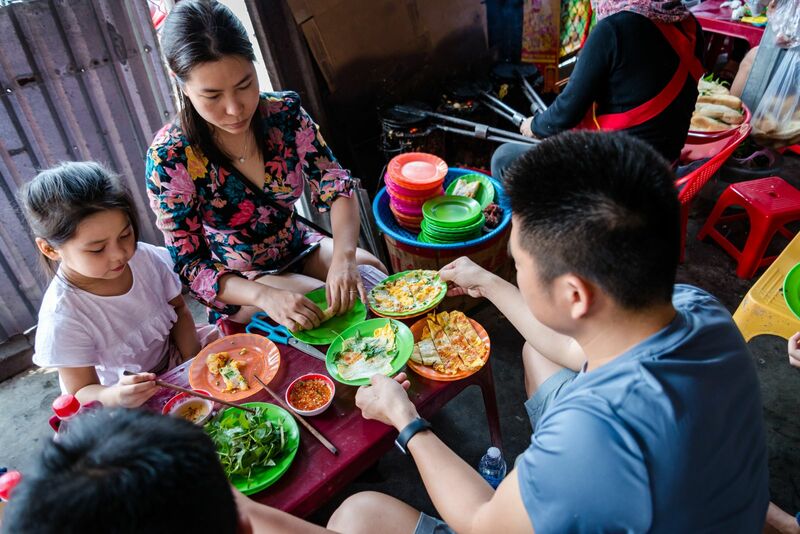 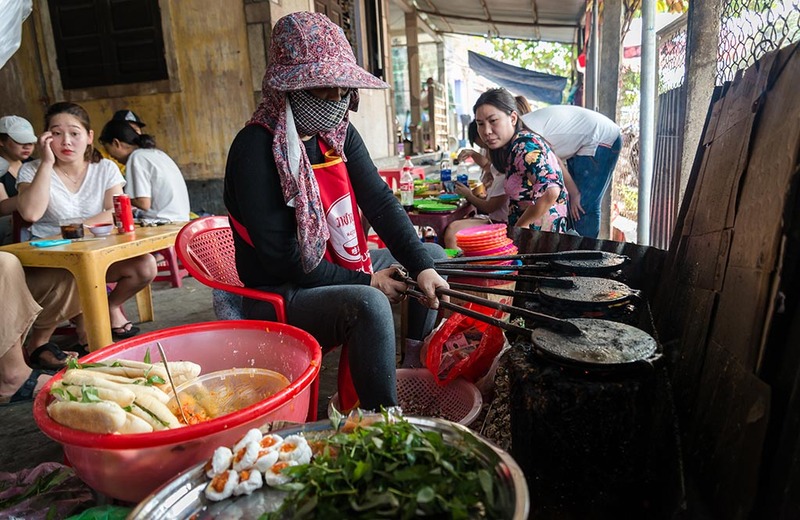 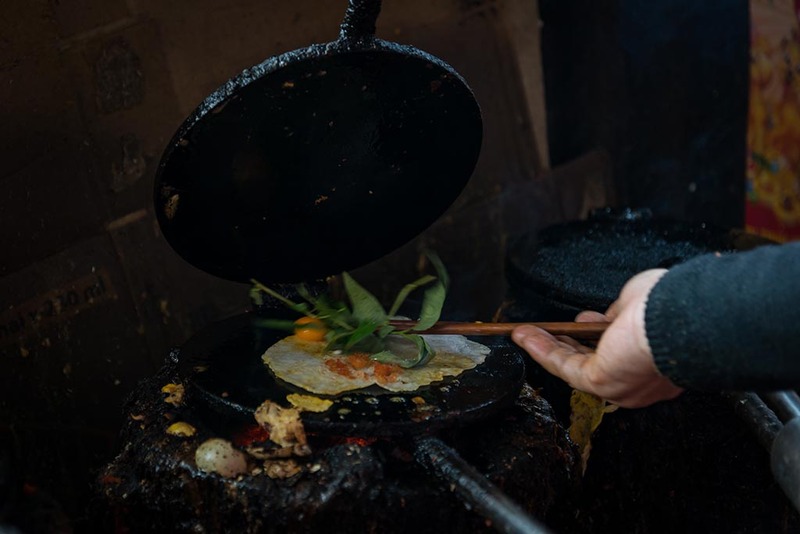 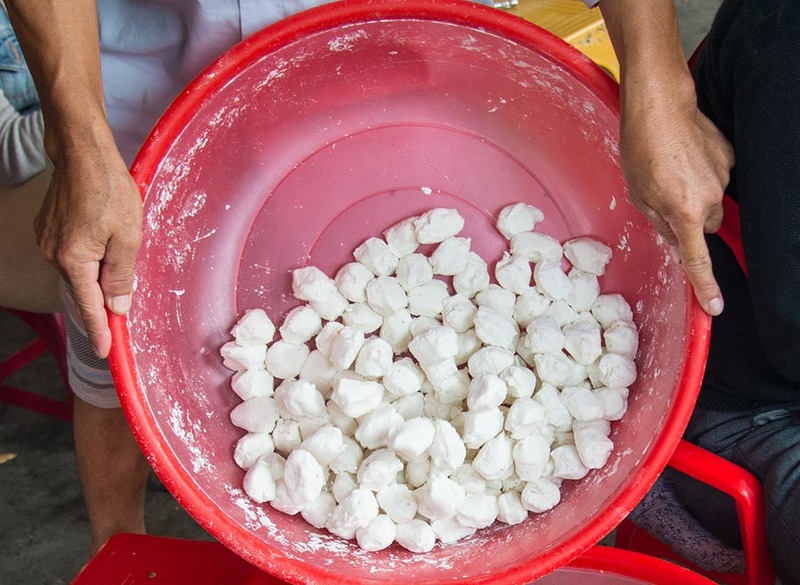 Although this nosh is quite popular in Hue city and other districts and towns, the cradle of it has to be mentioned to Thuan An, where has many popular “brand names” such as Kieu pressed cakes, Mrs. Gai pressed cakes, etc. 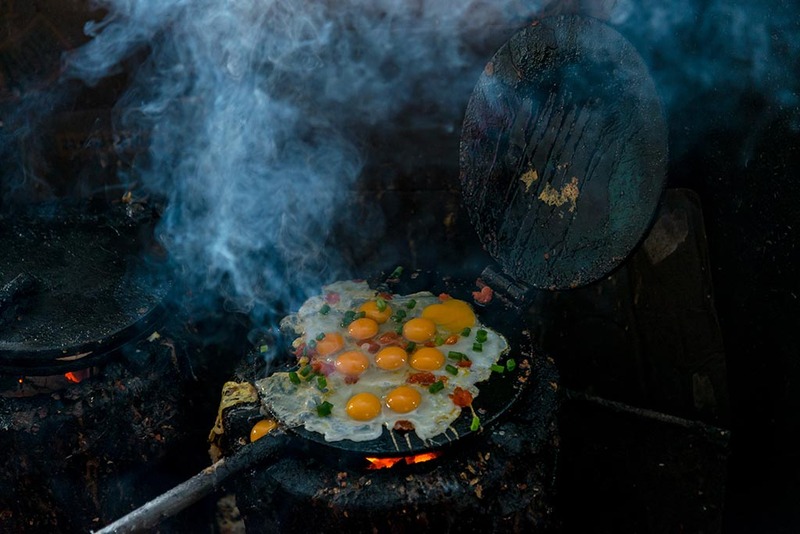 It is not difficult to cook this dish, even with the amateur chefs because all of the ingredients and tools needed are pressed pan, charcoal burning brazier, tapioca starch, the filling made with bacon, ground meat, quail eggs, etc., and it is seasoned appropriately according to personal taste. 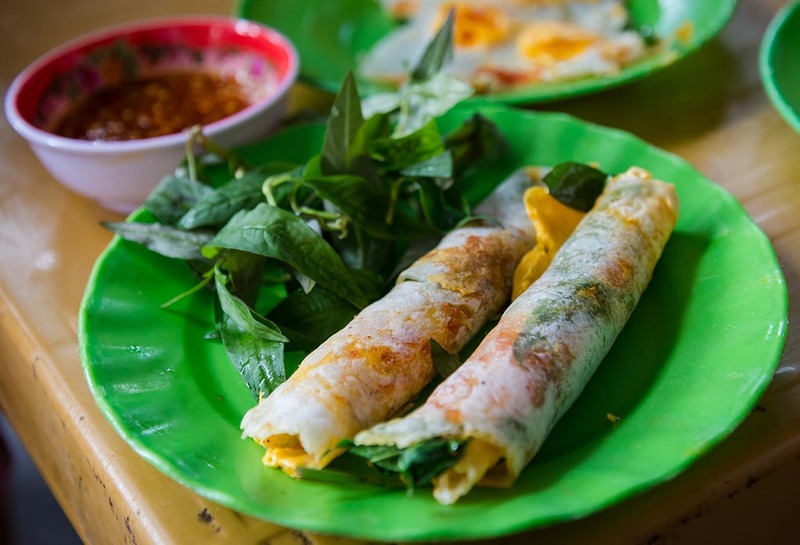 This interesting nosh is eaten with the garlic pepper sauce. 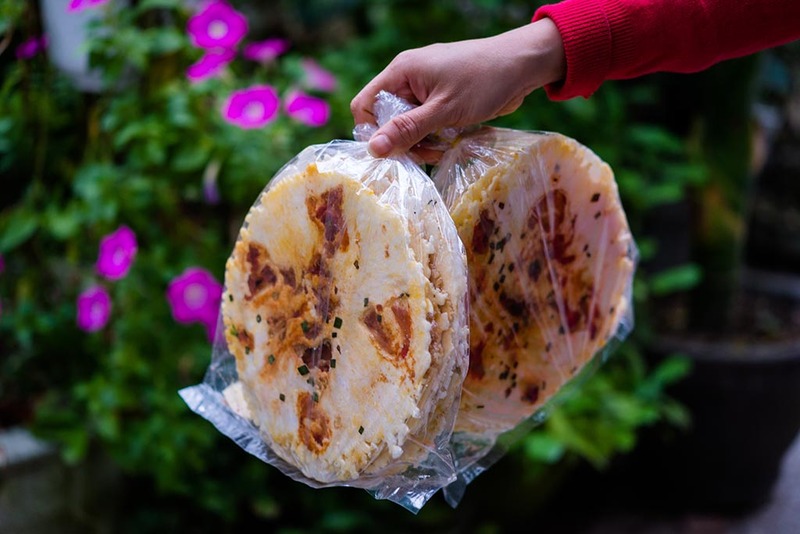 Thua Thien Hue Weekly would like to introduce the recipe of making pressed cakes in Thuan An through the series of photos taken by Dang Tuyen!